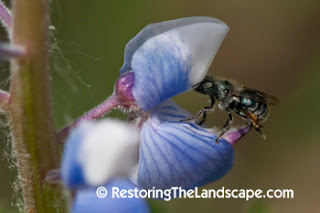 I'm amazed at the number of new native bees we've seen this year in our yard. 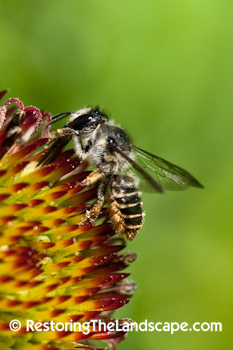 Many of the new ones are cleptoparasites on other bee species, otherwise known as Cuckoo Bees. 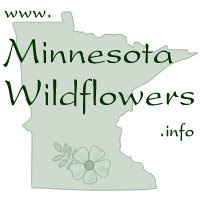 Read earlier posts here about Nomada Cuckoo Bees, and another post about a Sphecodes Sweat Bee that's also a Cuckoo Bee - both new sightings this year. 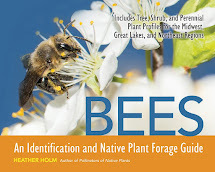 The latest new bee is a cleptoparasite of Leafcutter Bees (Megachile species). 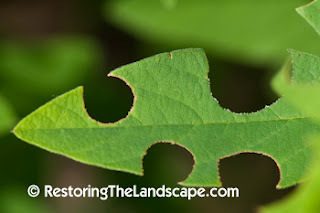 Leafcutter Bees are different from other native bee species - instead of collecting pollen on their leg combs, they collect pollen on hair patches on their abdomens. 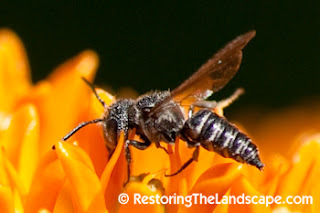 This week I photographed this new Cuckoo Bee (Coelioxys species) nectaring on Prairie Coreopsis and Butterfly Milkweed. I thought it could be a type of wasp at first, with its pointed abdomen. 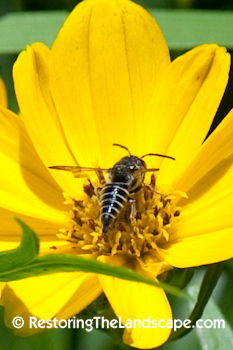 These Coelioxys Cuckoo Bees are in the same family as Leafcutter Bees (Megachilidae). Like the other Cuckoo Bees I wrote about this spring, they don't have any pollen collecting capabilities. They visit flowers for nectar only. "Protruding from the last segment are short spines used to break through the brood cell walls of their host species during egg laying". Like other cleptoparasites, the larvae of the Cuckoo Bee hatch and kill the host bee larvae. They then eat the pollen supplied by the host bee. It has been fascinating to observe the order of arrival of native bees in our landscape. 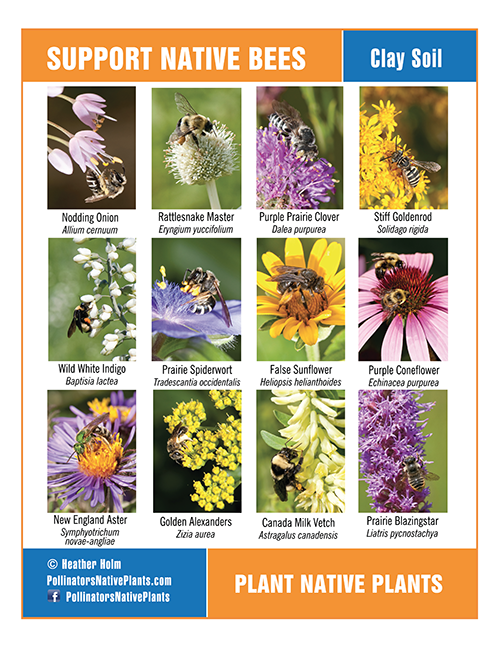 Starting with common Bumble and Mining Bees, the next season Leafcutter, Digger, Carpenter and Sweat Bees, then this year Carder Bees and many types of cleptoparasitic Cuckoo Bees.